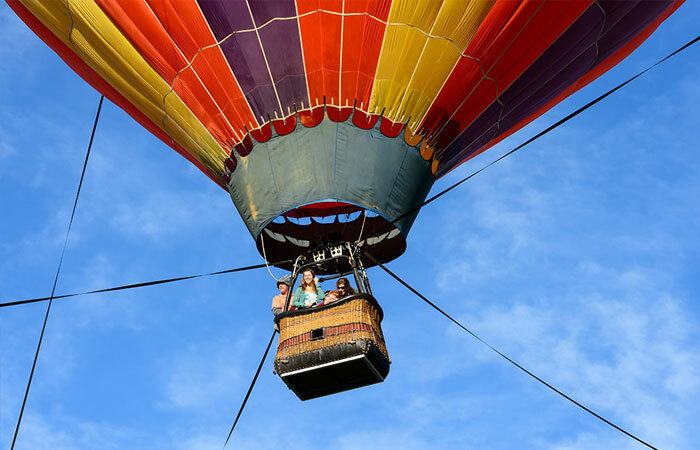 Tether Rides are in a Balloon which is tied off on 3 points. It rises about 80 to 100 feet, hovers there for a few minutes and returns to ground. This concession is handled by the Pilot. It costs $10(child) to $15(Adult) per person. Join the line and pay at the time of the ride. This is weather dependent and generally starts around evening launch time. An announcement will be made when it is determined the winds will allow it to fly. No age restrictions, children must be accompanied by parent or guardian. You must be physically able to get in and out of basket on your own.